"'We live to eat goes the popular saying. Who does not like to have good food'I always dreamt of relishing at my home, some of the most wonderful dishes which the world is savouring. My frequent travels across the globe took me to the various continents, and enabled me to try the authentic local cuisine and reproduce that special taste the inhabitants love. This book enables you to prepare and enjoy the French croissant for breakfast, relish a Thai lunch (green curry and rice), relax when the dusk befalls having Indian tea (chai) and pastry (samosas), ending the day with a Moroccan dinner (tagine). Needless to mention, concluding the treat with the brilliant Italian dessert Tiramisu will make the memories of the day satisfying and sweet.Planet Gastronomy - 100 Most Popular Global Recipes will help all food lovers with a penchant for trying their hand at testing and tasting the world's best dishes. Make and enjoy the delectable delicacies which the world is drooling over." Ananya Banerjee is a globe-trotter with a penchant for good food. She is a food-designer, a cook, an acclaimed painter and a lawyer by education. 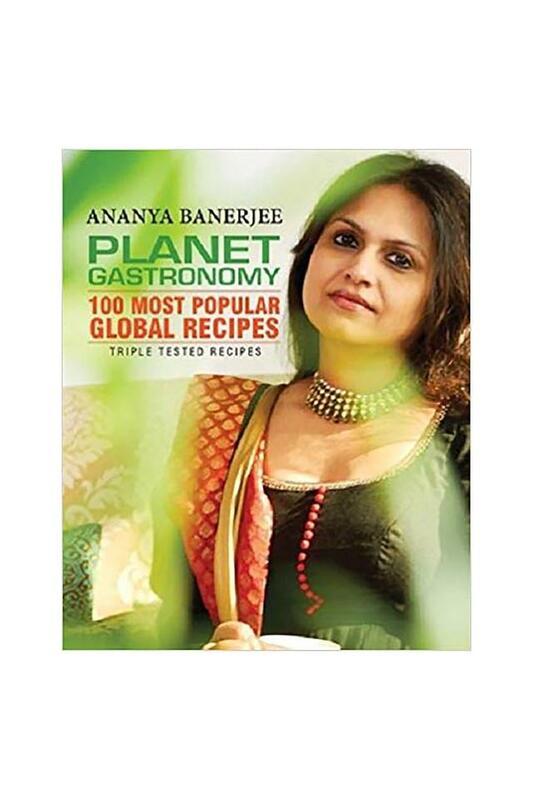 Multi-talented Ananya has written easy-to-cook recipes for magazines like Womans Era, New Woman and Savvy Cook-Book. Her cookbooks in regional languages published by Meri Saheli, have sold in tens-of-thousands all over India. She is a regular menu-planner and food consultant for several high profile clients. Her culinary skills have received just acclaim on several television programmes.. She has conducted cooking classes for the British, Americans, Italians, Spaniards, Mexicans, Koreans and Indians, and held workshops at the American and Japanese Womens Clubs in Germany, Holland and Austria. Ananya has continued embellishing her culinary knowledge by participating in master-classes at reputed international locations including Germany, Switzerland and France. A truly international cuisine lover, expert-cook and teacher.